Soldiering on with the philosophy of one band, four individuals, four personalities to collide, the writing process is a team effort initially seeing the band collaborate on riffs and groove ideas, adding a flourish of low-end colors, and blending the whole thing together with flying vocals that create a manifest of pure mayhem. This product of this steadfast diablerie will be realized on March 22, 2019 when the second album “Angry, Undead” is unleashed on PRC Music. A testament to the perseverance of tired musicians that got through a huge process of genesis, the first full-length album Unhope was recorded at Hemisphere Studio with Antoine Baril in 2014 and cemented the exotic playing that the band was looking for. 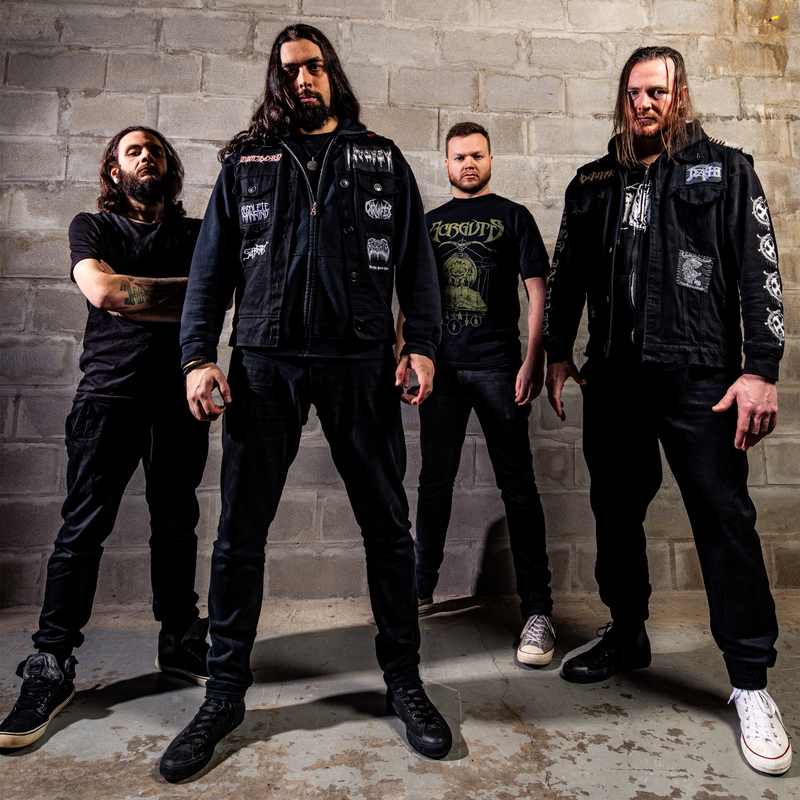 In 2016, the band decided to continue as a  4-piece with Seb, Did, Wil and Mike forging ahead in order to adopt a more brutal approach: adding new grooves, a greater velocity, and creating a wider ambiance as well as keeping breakdowns and progressive parts with counterpoints constructing a main theme of anger and a general hate of humanity. Soldiering on with the philosophy of one band, four individuals, four personalities to collide, the writing process is a team effort initially seeing Did (guitars) working a lot with Mike (drums) on riffs and groove ideas, after which a global song structure is formed and thus begins the creative work with the whole band. Seb (bass) comes in and adds his low-end colors, blending the whole thing together. Finally, Wil (vocals) then works on his parts and flies above the song to create a manifest of pure mayhem. This product of this steadfast diablerie will be realized on March 22, 2019 when the second album “Angry, Undead” is unleashed on PRC Music.